Across the world, babies as young as five days old enjoy the enormous social and physical benefits of learning to swim. Using techniques pioneered over the last forty years, Water Babies will teach you and your child the skills needed for a lifetime of water confidence and enjoyment. The award winning Water Babies course is a highly specialised programme for babies and pre school children. Our baby course is split into cycles: beginner, intermediate 1, intermediate 2, advanced and toddler. Our pre school programme uses carefully designed methods to offer a safe and gentle but exciting introduction to swimming for children who start after their 1st birthday. Using warm water pools across the area we teach 1700 babies per week locally and over 46,000 babies per week nationally. Water Babies has recently won the 'Best Baby Development Activity Provider' award in the WO4LO's awards. Although the industry standard for baby swimming teachers is a 2 day course, Water Babies teachers must also hold their full mainstream national swimming teacher qualifications, life saving qualification with first aid & enhanced CRB. After this they complete their demanding Water Babies training, this involves over 60 hours of training and culminating in a final exam with an external professional assessor. 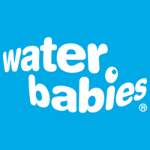 The STA's national Baby & Pre School qualification forms part of this training.Water Babies classes run all year round during term time, class times vary depending on venue and course. Please check our website for more info. Our lessons are designed to introduce your baby or toddler gently to the water & increase confidence, experience & understanding. The sessions provide a complete physical workout for the babies and studies have shown that participating babies have improved sleeping and eating patterns. Each one of our lesson plans is carefully worked out to progress the learning and skills of both you and your child gradually. Overall, our aim is to provide an enjoyable and stimulating activity for the two of you whilst encouraging the development of your baby's natural swimming skills. Lessons are full of games, songs, role play and, of course, repetition of the key elements of the course. With the emphasis on teaching you to teach your child to swim, the sessions are always highly informative as well as fun. Transport links vary according to pool location - we can discuss this when taking your booking. Our 10 week course costs £150 this also includes a place on our underwater photo shoot, journey book with cloth badges and stickers, a twinkle gift and a Water Babies blind. Anyone can access the service but needs to book onto a course – no drop in facility.